If purchasing personalization upgrade, buy this University of Wisconsin Milwaukee diploma frame first then buy the upgrade from the links below. We will mount and install the upgrade engraving plate or embossed on the mat. We acknowledge and congratulate high school, college or trade school graduates by providing diploma framing service to the alumni. 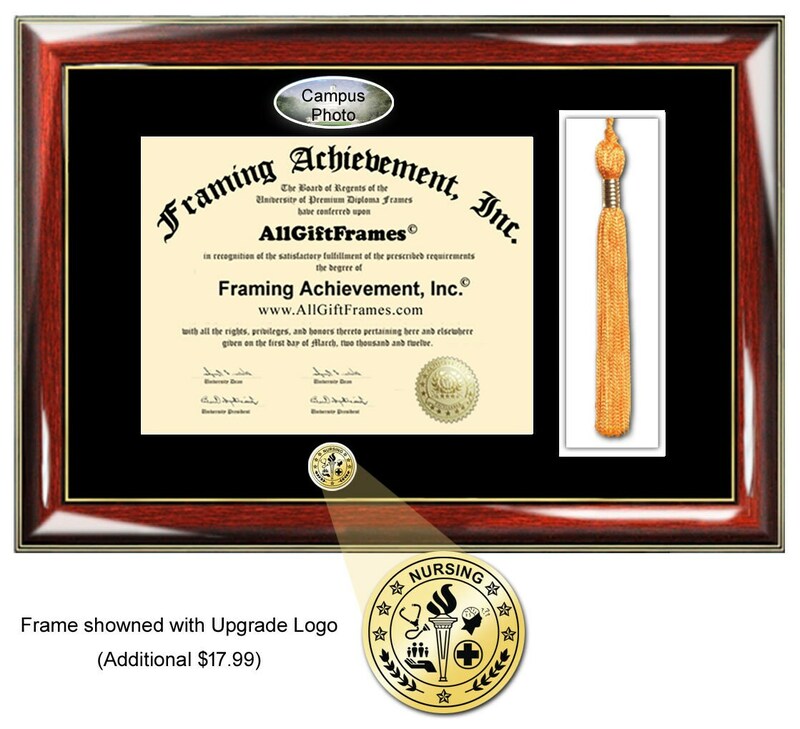 Share the joy of giving and expressing congratulations to the graduate by framing a diploma in an elegant University of Wisconsin Milwaukee degree frame. 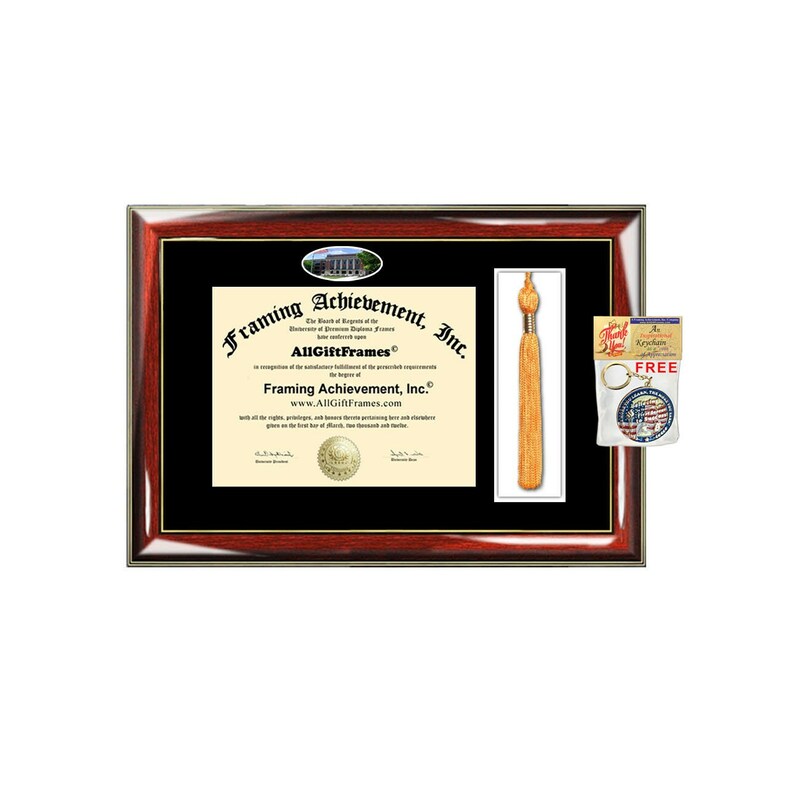 These premier UWM diploma tassel holder boxed frames with campus image picture are unique graduation gifts. Manufacture of high quality premium personalized custom diploma frames and certificate plaques. Whether you're looking for elegant graduation gift idea, personalized high school or college graduate gift, law school graduate gift or simply personalize graduation frames, we can help with the customizing gift. Let us be your custom diploma framing gift shop for a Bachelor, Masters, MBA, Doctorate, PhD, Juris Doctor or medical degree. With our tassel diploma case holder University of Wisconsin Milwaukee frame, the sentimental value are endless. Our variety of graduation degree plaques truly encourages you to create the perfect gift for treasured and priceless degrees and certificates. The variations of frame styles, logos and personalization are both beautiful and unique. When combined, the school document certificate in the frame will bring back memories that will never be forgotten. Let our graduate tassle case frames preserve your treasured memories for many more years to come. With our university UWM diploma frames, the sentimental value are endless. Create the perfect graduation gift for treasured and priceless certificate diplomas at our degree document framing store. Quality matted document tassel holder case sold at cheap prices.